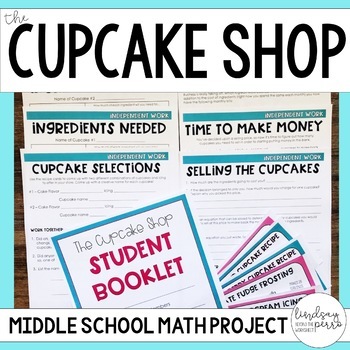 This in-class math project provides students with a fun way to put their fraction, decimal and equation writing/solving skills to work in a yummy, real world scenario. 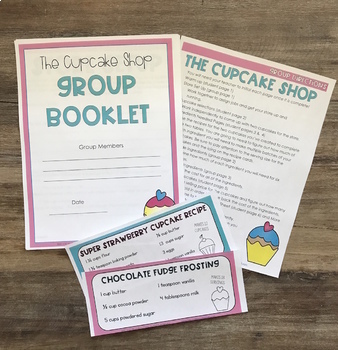 Students will be able to apply what they know about fraction and decimal operations, as well as writing and solving inequalities and equations to operating a cupcake shop. The project includes group collaboration as well as independent work. All independent work ends with group discussion. 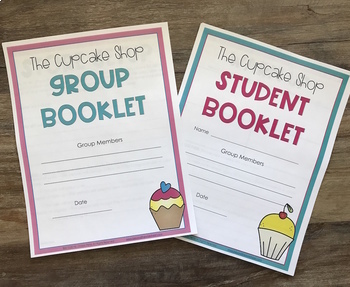 20 pages include a student workbook, group workbook, warm up, teacher and group directions and lots of yummy fun! The project comes in both a full color and black and white version. 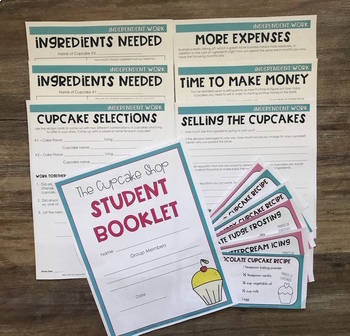 Note : I didn’t include baking directions because the project doesn’t require (or encourage) the students to use the recipes I included to make the cupcakes. They can make some at home with their own recipes (as many teachers have done) but not the ones I included. I created those recipes myself because I wanted certain measurements to be used. For a holiday version of this resource, purchase The Christmas Cookie Shop!